Comets (what Aristotle called stars with hair), streaking across the sky with their distinctive tails, have long been objects of fascination. There are prophecies, prognostications, and scary stories about what a special comet could mean for us. We might still remember what we were doing, for instance, in 1986 when we saw Haley's comet that makes its appearance every 75 years or so. Car makers seem to have been interested in them, as well, with that name appearing on a car as early as the 1907 California-made Comet and as late as the sixties with the Mercury Comet. The Comet we'll take a look at, though, is the Comet Six, an assembled car built from 1917 to 1922 and advertised as the Comet that had come to stay. The Comet Six was introduced in 1917. Its builder was George W. Jagers who introduced the first model at the Chicago automobile show of 1917. Perhaps his timing was an omen of things to come. Also on display at that show were hundreds of makes of automobiles, one of which was a golden star, the Gold Studebaker with eight thousand parts finished in 24-carat gold. Even in the teens its manufactured cost was $25,000. Another distraction arose on April 6, 1917, when the U.S. entered WWI. And even though the Comet had been displayed in Chicago in January, it was December 1917 before the first unit of its new Decatur, Illinois factory was ready for occupancy. It would be August of 1918 before the company reached full production capability there, that year producing a few more than seventy cars. Despite this run of bad luck, Jagers remained a determined manufacturer. Certainly his working background had primed him for his new position. A native of Racine, Wisconsin, for fourteen years—from the late 1880s on—he was involved with J.I. Case Threshing Machine Co, first as a costing clerk, then as head of its cost department. Case, a major manufacturer of threshing equipment and farm machinery, was forward-thinking. It opened a factory in Argentina, for instance, in 1890. By 1895, it was manufacturing gasoline engines. It was to go on to introduce an all-steel thresher, a gasoline-powered tractor, and the Case automobile (from 1911 to 1927)—but all that was after Jagers had left the firm. Effective January 1, 1902, he resigned his position at Case and became a partner in Racine Manufacturing Co. He planned to take what he'd learned from his time at Case and get into the automobile trade. The firm in which Jagers partnered had begun as the Racine Novelty Co., founded by Frederick F. Blandin to make wooden novelties and toys. Blandin incorporated in 1889 but, by the early 1900s the firm was experiencing financial difficulties and Blandin went looking for investors. He found one in Jagers. The men and their wives incorporated anew in July 1902 with $5000 in capital and greatly increased plant space. The company was engaged in manufacturing wooden ironing boards, piano stools, packing boxes, and car bodies. On November 14, 1902, however, disaster struck when fire broke out in the factory building. The building's value was $8000, the damage was estimated at half that, and the insurance limit was $2000. While the fire did have entertainment value (it being reported that several thousand turned out to see the blaze), it must have been a significant blow to the owners. Fairly quickly thereafter Jagers contacted Frank Kellogg Bull, his old boss and president at Case, for financial assistance. Bull complied, providing sufficient capital for the firm to establish new, larger-scale production facilities. Once in the new factory, the firm was reorganized as the Racine Novelty Manufacturing Co. and business took off. While Blandin continued as president, Jaegers wore many hats, functioning as secretary, treasurer, general manager, and rain maker. By 1905, the firm closed out the less profitable parts of the business, added manufacturing space, and began focusing more attention on car bodies. In 1906 they were no longer advertising in the "Help Wanted" column for carpenters but rather for body makers. In July 1907, the concern leased adjacent space (referred to as factory number two) for expanding manufacturing further. Then, in September that year, they sold out to an East Coast trust, which, as a condition of the sale, required them to stay on to run the business for another five years. Reorganization occurred in February 1908, at which time the company was renamed the Racine Manufacturing Co. In 1909, the work force increased markedly as did plant buildings. The new owners were interested in expanding into limousine and taxicab bodies as well as dashes, battery and tool containers, tops, fenders, and dashes. Once more, though, fire struck the firm. This time damages were estimated at $600,000 and insurance coverage was limited to $250,000. All manufacturing moved to plant number two (with its new sprinkler system) temporarily—until a new, large plant could be erected on the old foundation of plant one, this time built of brick and steel with the most modern fire sprinkler system available. The plan was to double manufacturing capacity in the new facility. Another Case associate, Ellis J. Gittings, was brought aboard as sales manager and treasurer while Jagers remained secretary and general manager. In spring of 1912 construction was completed for two new plant buildings. As he'd promised, Blandin stayed on with the firm until his retirement in February 1912. In August 1913, Bull resigned from the company, with Jagers following in early 1914. Jagers was determined to start a manufacturing concern of his own. To get his start he bought the Racine Manufacturing Co.'s factory number two, established the George Jagers Manufacturing Co., and began work to build ten thousand motors as well as transmissions for the Argo Motor Co. That contract came to him via a business connection with L.E. Latta, vice-president and general manager of Argo, who earlier had been purchasing agent at the Racine Manufacturing Co. Argo officials also held minority shares in Jagers Manufacturing Co. In June 1915, however, production at Jagers Manufacturing was put on hold for lack of working capital. A committee of creditors attempted to reorganize the concern in July by offering vendors a combination of cash, promissory note, and company stock to resolve their claims. By 1916, though, Jagers had an office in Chicago and was designing multiple prototypes for a production car which he was having built in rented loft space in Rockford, Illinois. Jagers figured he'd need $250,000 in capital to get his start, and while in Chicago he interested a couple of investors in backing him. In May that year he was looking for a locale for his plant—outside a big, bustling city. He hoped to return to Racine but a number of localities offered him free sites, and he would eventually end up in Decatur, Illinois. The Comet Automobile Co. of Rockford, Illinois was in business by June 1916 with Jagers heading its mechanical department while Harry R. Sackett and Joseph M. Callahan, both of Chicago, acted as vice president and secretary/treasurer, respectively. The company was capitalized at a million dollars and plans were to have the car on the market by September that year, with cars selling at $800 and light trucks at $1000. 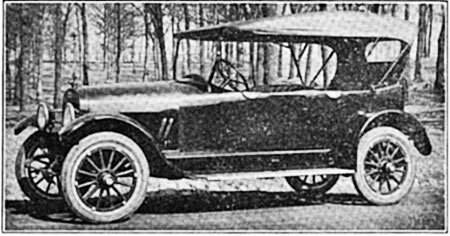 In January 1917, Jagers showed these early models of the Comet at the Chicago Automobile Show, and consumer interest was encouraging. Its straight-line body styling was nothing special but most customers were perfectly satisfied with the looks of the car. Part of the grand plan was to produce a car assembled from parts shipped in from across the country, producing the cars only after signed orders were in hand. Another part of the plan was to produce a relatively cheap car with the size and characteristics of more expensive models. Both open and closed six-cylinder models were to be made available. Officers of the concern were elected in April 1917, and by then Sackett and Callahan had both resigned from the firm. 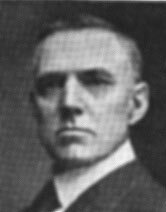 Jagers was elected president and treasurer with G. Vernon Beck (former district manager for Chalmers and, later, western sales manager for Detroiter Motor Car Co. and sales manager of Elgin Motor Car Co.) elected as vice president and sales manager. Already materials were arriving to be assembled. At the time there was a spring touring season when cars would be taken out of cold storage and when new owners clamored to buy. In 1917, there was talk that demand would outstrip supply, leaving Comet an enviable advantage. Unfortunately, however, Jagers didn't reach full production capability for the 1917 season. It was mid-December before the first unit of his Decatur plant was ready for occupancy and August the following year before the entire plant was ready. Nonetheless, both the style and the engineering of the car were already set. Purchasers could choose the popular "Centennial C-50", a five-passenger touring car built on a 125-inch wheelbase, with wide rear seat, priced at $1285—or a four-passenger "chummy roadster". The car came with pressed steel green, maroon or blue exteriors and black enameled radiator, fenders, hood, and skirts. One of its sales features was this: "The radiator pan and side skirts completely close up the bottom and sides, thus affording passengers ample protection from mud and dirt." Its 12-spoke, artillery-type yellow wheels were made of hickory, with demountable rims and 33 x 4" tires. Wire wheels were optional. It had a roomy interior and comfortable seats with high quality upholstery like Chase's long-grain leather (which had an embossed texture). Cobbled together from roughly two hundred and fifty parts, the car initially used an L-head type Lewis six-cylinder engine with removable cylinder head (in a few years to be replaced with the Continental 9-N Red Seal engine). There were three forward speeds and a reverse. Steering was worm and worm gear, and the steering wheel was eighteen inches in diameter with a corrugated rim. There were two types of braking systems, i.e., external contracting service brakes and internal expanding emergency brakes. The ride was cushioned by semi-elliptic front springs and cantilever rear springs. The Comet's equipment list was encyclopedic. There was a slanting "rain vision" windshield; headlights with dimmers; a cowl light; tail light with license bracket; windshield searchlight and trouble light; electric motor-driven horn; locking switch; speedometer and ammeter; robe and foot rails; jack; tire pump and tire tools; hub cap wrench; instruction book; and tool kit. Sales were best in the Midwest although shipments were sent elsewhere in the U.S. along with a few deliveries to Denmark and Belgium. To make those sales possible, employees worked nine-hour days, six days a week. Their efforts were rewarded with salaries of 45-75 cents an hour, depending upon their skills. The 1918 line for the Comet also expanded to include five and seven-passenger limousines. Prices for all models ranged from $1285 to $2250. Hopes were still high that sales would pour in, and the company missed no opportunity to advertise. In early spring the Centennial model was even made one act of a local vaudeville show. 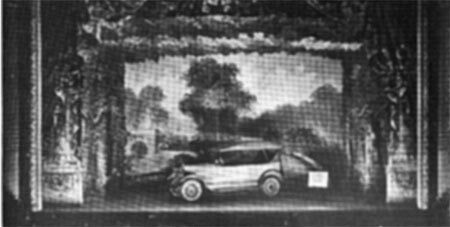 The car was exhibited against a painted woodland setting and was said to be a big hit. The Comet Six Hits Vaudeville in Early Spring 1918. While initial sales were modest, the company continued with its plan to build production numbers and distribution. A one-ton truck with four-cylinder Lycoming engine was marketed, as well. In February 1918, the all-concrete Decatur assembly plant, nearly six hundred feet long, was nearing completion. It had been designed by architect John A. Scribbens who likely held a few shares in the company and who figured in the company's eventual dissolution. There were also plans to build a more permanent factory, one with fifty thousand square feet, and to employ a hundred men. Jagers, said to be "a practical engine man, also a body builder", remained in charge. 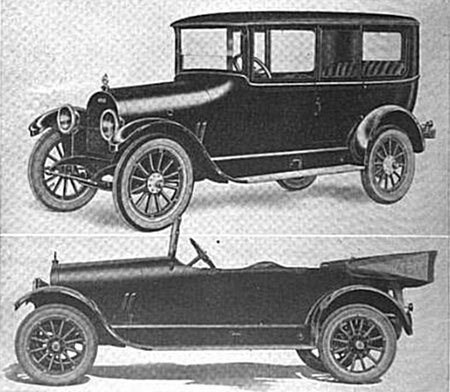 Two versions of the Comet. L. B. Underwood was put in charge of the sales department and John Schroeder headed production from 1917 to 1918. In September 1918, however, just after the company reached full production capability, Schroeder resigned to go into the car and tractor business in Oklahoma. "A Star of First Magnitude" one ad proclaimed the Comet Six in 1919, continuing: "Achievement has followed the brilliant course of the Comet Six. Its record has placed it at the height of motor superiority." Complimenting its mechanical excellence and refined appearance, ad copy called the car "large and beautiful, sleek and graceful, with power written in every line." Despite such evident features, in 1919 the company produced fewer than two hundred cars, although it also introduced the Comet 15-30 tractor. In June that year they signed a contract to construct an electric power plant at a cost of roughly $70,000 to supply electricity for the production plant. Despite the continuing development of the business, there was a press report that Jagers was already considering organizing a new business which would have its factory back in Racine. 1920, however, found the Comet concern still in Decatur at the start of what would be its best year, with production numbers topping six hundred. There must have been real excitement when an order came in from Belgium—for forty cars. The shipment, valued at ninety thousand dollars, was said to have been paid in advance, and the Belgian company planned to distribute the cars throughout Europe. While most of the shipped cars were built to European standards, Comet was also trying to popularize some built to American specifications. 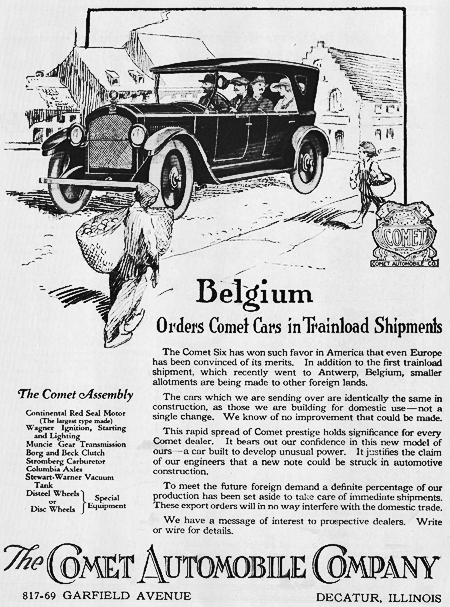 "Belgium Orders Cars in Trainload Shipments" headlined an ad featuring a Comet passing in front of gabled-roofed houses and cobbled streets where boys in wooden shoes carried their baskets. The ad went on to explain that the "Comet Six has won such favor in America that even Europe has been convinced of its merits." Comet Six had already sent a shipment on to Antwerp with cars "identically the same in construction, as those we are building for domestic use—not a single change. We know of no improvement that could be made." Besides, the ad went on, while a certain percentage of production was being set aside for export, production for the foreign market would not interfere with the car's domestic trade. Comet was hitting the big time, going international. With hopes high, construction began on a larger factory with capacity to build up to two hundred cars a day. 1920 ad Proclaiming the Big Shipment to Belgium. There were other optimistic ads for 1920, as well, encouraging dealers to get out and sell. One suggested getting customers to take the Comet out for a "Country Demonstration". The Comet was said to sell itself. While the prospect took a country road and listened to the "soft, musical purr" of the engine, the dealer was encouraged to "whisper that delivery [could] be made at once." Among the car's attributes were these: "fleet and graceful—the same as a greyhound"; "economical to operate"; "light, yet strong and durable"; and "built by master artisans". Immediate delivery, however, may have been the car's strongest selling point. 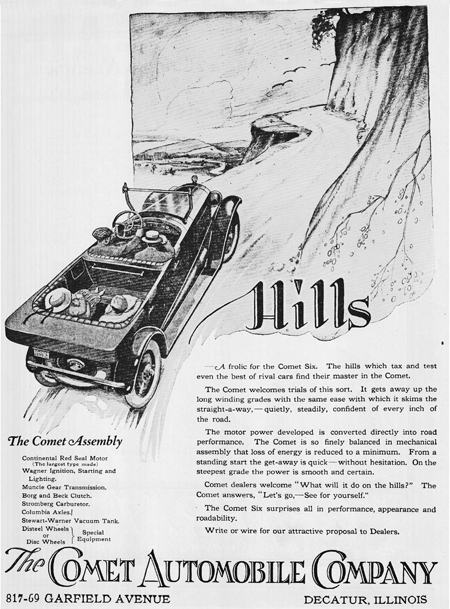 Another ad targeting dealers and entitled "Hills" showed a Comet Six going up a steep hill, an activity called "a frolic" for the powerful car, which took "long winding grades with the same ease with which it skim[med] the straight-a-way—quietly, steadily, confident of every inch of the road." 1920 ad showing the Comet Taking Hills. 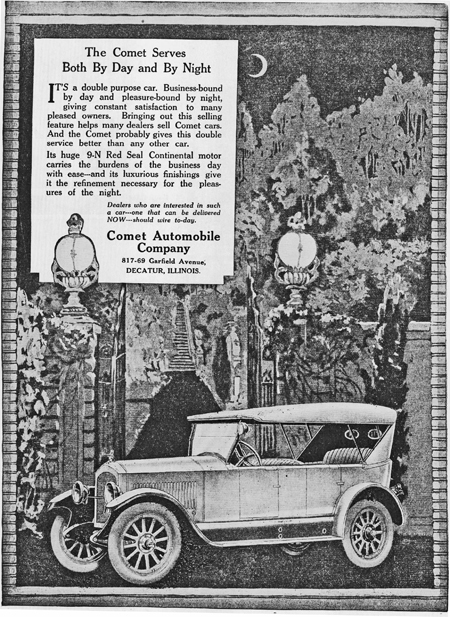 Another advertising technique for the Comet was to stress the multiple manufacturers involved in the car's production. There was, of course, the Continental motor but also Columbia axles, Borg and Beck clutch, Muncie gear transmission, Hyatt bearings, Wagner ignition, Stromberg carburetor, Stewart-Warner speedometer, and Boyce motometer. With all those businesses engaged in its manufacture, the Comet just had to be a good car. If all that failed to convince salesmen, other ads stressed the Comet's dualities. One of those was that the Comet appealed to two classes of people. There were those who could only afford a medium-priced car (for whom the Comet offered a lot for the money) and those "of means" who, in addition to high-priced cars, would be proud to drive a car with a great appearance (excelling that of any car on the market) and mechanical superiority. Besides, the car was said to start easily even in the coldest weather. Its carburetor produced the right mixture of air and gas. Its force-feed lubrication oiled efficiently. And it ran smoothly. 1920 ad for Two Classes of Buyers — Another duality was expressed in an ad discussing service "By Day and By Night", a dual-purpose car that was "business-bound" by day and "pleasure-bound" by night, giving constant satisfaction to many pleased owners. Production had increased to ten cars a day and plans at the start of the year projected completion of 3630 cars. Of that number a hundred cars a month were destined for export. Unfortunately, however, overall sales did not support those numbers and other troubles arose as well. Sales manager Beck abruptly resigned from the company in April and sued the company for $40,000 for alleged breach of contract. He claimed that he was supposed to have received a number of shares in the company along with his salary. Since he had not gotten those shares, he resigned his post. By October the company was in serious financial difficulties. The factory expansion had come too quickly and at great cost. While the company claimed assets of $3.1 million, its red ink far exceeded that amount. The Board of Directors authorized issuance of $250,000 in 8% bonds. Farmers State Bank and Trust Company was asked to sell them but was unsuccessful in doing so. On December 15, the company entered involuntary receivership and production halted. The firm signed off on a trustee agreement with Farmers Bank to advance money from time to time, with J.D. Johnson chosen as trustee. That agreement enabled production to continue, and the company still hoped it could secure suitable refinancing. The factory reopened the third week of January 1921. Jagers had just returned from a visit to leading Midwest dealers. He understood clearly the need to increase sales. It couldn't have been easy, though, since a Ford Model T was selling for less than four hundred dollars while Comets sold for roughly two thousand dollars. Jagers hit upon what he thought could be his silver bullet when he introduced a small four-cylinder car at a price of about $1000—but that bullet tarnished quickly. The four never gained much favor in the marketplace. In February, Beck, now back at his post, outlined a new marketing scheme that was meant to strengthen the working relationship between producer and dealer and that would ensure the Comet's best sellers guaranteed deliveries. Comet offered its dealers a rider to existing contracts which automatically renewed the contract annually—so long as the distributors hit certain yearly sales increases. In explaining how the rider would work, Beck gave this example. A dealer contracted to take two hundred cars and met that goal. The contract automatically renewed the next year if the dealer agreed to take 75% more cars (350). For the two years following he agreed to take a 50% increase each year, and the last of five years he agreed to a 25% increase. In the fifth year he would be selling nearly one thousand cars, a good 30% higher than the company ever manufactured in a single year. There were a few new faces at the company, too: C.F. Jamison (who had been general manager of Saxon and assistant general manager of Elgin) as first vice president; Robert H. Campbell as second vice president and purchasing agent (though he would resign in May to join the concern producing Coleman tractors); Elmer White as treasurer; and E.B. Madden as production manager engineer. Beck had resolved his complaints with the company and was back as sales man and ad man. The Board of Directors included Jagers, John L. Bennett, Elmer White, Frank S. Gordon, and Harold C. Smith. B.B. Burns, president of the local automobile dealers organization and owner of the Decatur Automobile Exchange, was to be assistant to president Jagers. There was still some flicker of promise in international sales, too. The Comet Six, called "a car of quality", sold in the Netherlands. An ad placed by its importer, Selwa of the Hague, claimed "artistically it is RIGHT". Still, the company's assets were dwindling, sales were not developing, and the company's administration was in disarray. In 1921, fewer than three hundred cars were produced, less than half of the previous year's output. If 1921 was a disappointment, the following year was an utter disaster. Only twenty-seven cars left the factory and at increased cost. The C-53, 5-passenger touring car sold at $2350, while the C-53-2 Sedan sold at $3650.By year's end, however, it was the company itself that was put on the block. Tellingly, near the beginning of the year a would-be investor in the company wrote the magazine United States Investor, a letter they posted in their March 11 issue. The investor asked about the firm's financial condition and whether investing in it was wise. The reply left little room for doubt: "This company has felt the depression of the past two years, as well as many of the smaller automobile manufacturing concerns. At the present the Comet is doing very little for lack of finances. If new money is not obtained within a short time, we are of the opinion that the future of the company is doubtful." Nonetheless, in June the company unwisely undertook further expansion. They constructed a new four-story building to construct cars and manufacture sheet metal parts. Initial production was expected to be five cars a day with hopes to double that number within a few months. Branches were also being organized in South America in hopes of increased business. Jagers may have gotten the notion of expansion into South America from his days at Case with its plant in Argentina. While Jagers dreamt of improved conditions, reality intruded. In September the company's main creditors—Citizens National Bank and Farmers Bank—demanded payment. Comet was forced into receivership to avoid foreclosure. The Millikin Trust Company and Robert W. Jones of Comet were named as receivers. The first order of business was to take inventory. The company owed $60,000 to banks and $75,000 to creditors and others. Its plant was deemed to be worth $400,000, and other assets amounted to $60,000. As John W. Evans, master in chancery, reported to the circuit court, the receivers had no plans to continue operations. They did, however, plan to keep the parts department open so owners could purchase spare or extra parts. And they planned to utilize parts on hand to complete a few final cars. If all went well, the company would be able to use existing assets to pay off its creditors. First, though, the company had other business to wrap up. They had contracted for $400,000 worth of materials but had to cancel all those orders. Jagers put the best possible spin on the receivership, saying it was meant to benefit creditors but also stockholders: "The company has been trying to refinance its affairs for some time, but has been unable to do so, and the hope is that the court, through receivers, will be able to put the company on a sound financial basis again." Jagers was not alone in believing the company still had life in it; Comet promoters said the company was still able to produce up to forty cars, trucks and tractors per day. Despite their confidence in the company, however, it was never to regain its footing. When the company was offered for sale in late 1922, there were no interested buyers. Instead, company assets, other than the factory, were sold piecemeal at auction the following year. The proceeds realized were laughable. A completed Comet 6 tourer sold for $35 while stacks of wheels sold at 8 cents a stack. In early Spring of 1924 receivers sold the factory and the twenty-acre site on which it sat to the L. P. Halladay Company for $125,000. Halladay manufactured car bumpers, shock absorbers, and other car accessories and had, from 1905 to 1922, also produced its own car. Curiously, while the Comet Company ceased trading in 1922, stock was still being sold in 1923. That led to an investigation into its stock selling affairs. In July 1924, a federal grand jury indicted eight former officials, salesmen, and members of the reorganization committee for using the U.S. mails to defraud shareholders. Among those indicted were architect John A. Scribbens, Irving Cowles, and C. E. Uhler, all members of the reorganization committee. Eventually most of those indicted were cleared of all charges. Despite such an ignominious end, the company had gotten its start with a determined though naïve Midwesterner who had caught the car bug. His dream was no different from that of many other manufacturers across the nation trying to get in on the booming automotive trade. He did his best business in the area where he produced the Comet but sales were always modest. There was nothing terribly special about the Comet and it simply could not compete with larger manufacturers who enjoyed nationwide support.